It has been 17 years since I heard your voice. Seventeen years since I smelled snickerdoodles baking in the kitchen. Mine just never taste as good as yours did. Seventeen years since we spent hours talking. Elsie Marie Weston, my mom’s baby sister, lost her battle with breast cancer 17 years ago and will forever be known as one of the strongest women I know. Elsie‘s battle began when she was about 18 years old with lumps which were always removed and were not cancerous. Until the life changing diagnosis in 1990. Her first mastectomy in 1990. Her second reconstructive surgery 6 years later to replace a leaking implant. That’s when they found it in her bones. She went through medication regimes, and chemotherapy. And through it all she fought. Sure, Elsie was family but she was also my best friend. Growing up, Elsie was privilege to some of my deepest secrets. I went from being the pesty niece she was forced to babysit to her buddy as we partied at the Headliner during our years working in Neptune Township. We both went to Atlantic City to open the Claridge Casino. We weathered hurricanes, blizzards and life itself. Elsie was there when Belinda was born – she even cut the cord before heading out to attend a wedding. Elsie and Belinda were buddies. She was there to help. When I was in detox and rehab, she made sure life remained as normal for Belinda. I remember being in detox, not being able to have visitors – she helped Belinda make a sign and they stood outside the hospital window to show their support. When I came home from rehab, Elsie took us in when we were homeless. Elsie taught me that dreams can and do come true – NEVER GIVE UP. She fulfilled hers when she opened Small Wonders, a gift shop in Ocean Grove. When the cancer spread, to Elsie’s eyes, things got a little tougher but she was determined to work every day in her store. We all helped – Belinda learned how to work the register and run credit cards at the ripe old age of 10. Belinda put together one of her famous surprise parties for Elsie’s 50th birthday. Elsie was mad but she never stayed mad for long at Belinda. That would be her last birthday with us. On May 23rd, Elsie was admitted into the hospital – she had lost 95% of her eyesight to cancer and had given up her will to live. Seven days later she became another Weston Angel – joining her parents in heaven. She left behind a legacy…. She was a fighter. She was loving & kind. She was Belinda’s Buddy! A day doesn’t go by that I don’t think about her. 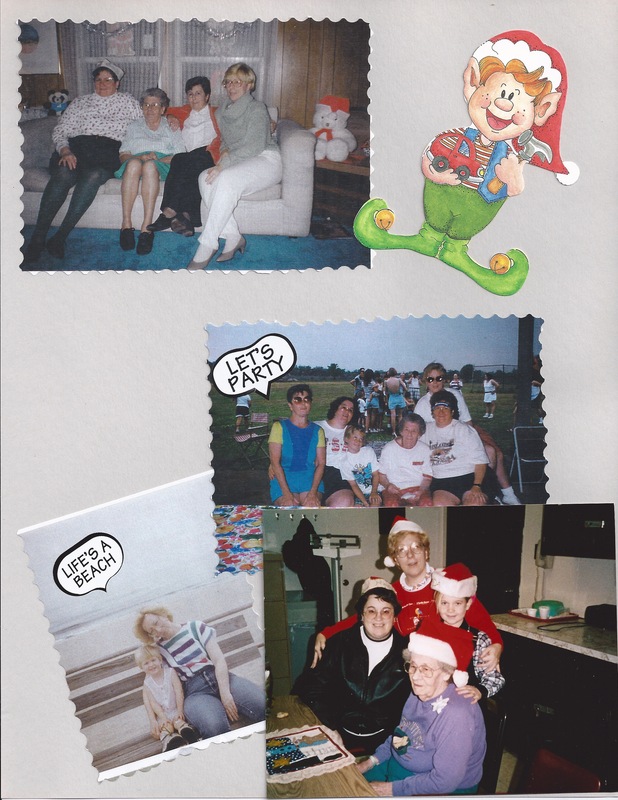 When there is a crisis or we are in the hospital, a sense of calm comes over me and I know that everything will be okay – see all my Weston angels are always with me – Mom-mom, Pop-pop, Elsie and Edythe. Elsie, I miss you and I am sure that I didn’t tell you enough how much I loved you. Cherish the moments today – the good, the bad and the ugly for life is precious.